Home » The Gospel of Jesus Christ » Knowing Jesus Christ » The Revelation of Mystery: Why Did the Lord Jesus Fast for 40 Days? I have already had faith in the Lord for over ten years, but I still cannot understand some of the scriptures. For example, recently, I felt puzzled when I read the scriptures about Satan tempting the Lord Jesus, “Then was Jesus led up of the spirit into the wilderness to be tempted of the devil. And when he had fasted forty days and forty nights, he was afterward an hungered. And when the tempter came to him, he said, If you be the Son of God, command that these stones be made bread. But he answered and said, It is written, Man shall not live by bread alone, but by every word that proceeds out of the mouth of God” (Matthew 4:1-4). I thought: When we Christians fast and pray, we do so to show our sincerity in asking the Lord to help us solve all difficulties and problems that we encounter. But the Lord Jesus is the incarnate God, and He has the ability to do everything, so why did He fast for forty days? What mysteries does it contain? Lately I’ve been bothered by this issue. Please share fellowship on this. Thanks! Hello! In the past, we also didn’t understand the issue that you’ve raised. But later, through praying to God, reading God’s words, and seeking fellowship with brothers and sisters, we came to have a shallow knowledge of it. The following is some understanding shared by several of our brothers and sisters of Spiritual Q&A. We’d like to share it with you. 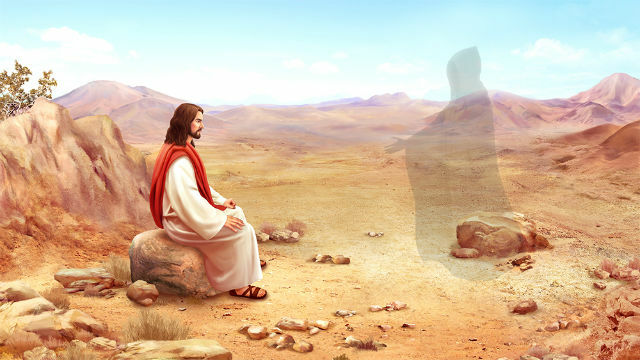 Brother Chengshi: That the Lord Jesus fasted for forty days contains far-reaching significance and unfathomable mysteries. Since our understanding is limited, we can only talk about some shallow understanding. Just like you, I used to think: “The Lord Jesus is God Himself and He can accomplish everything, so why did He have to fast?” Afterward, I saw the words of God say, “Prior to performing His ministry, Jesus too was only an ordinary man who acted in accordance with whatever the Holy Spirit did. Regardless of whether He was aware of His own identity at the time, He obeyed all that came from God. The Holy Spirit never revealed His identity before His ministry commenced.” God’s words made me understand that after the Lord Jesus became flesh as the Son of man and came to earth, He always submitted to the will of the heavenly Father in the position of a man of creation. In particular, before the Lord Jesus performed His ministry, that is, before He formally launched the work of redemption in the Age of Grace, He was an ordinary, normal man, and all that He did was done under the guidance and leadership of the Holy Spirit. This reminded me of the scene in the Bible when the Lord Jesus was baptized by John: At that time, John tried to stop Jesus, but Jesus said, “Suffer it to be so now: for thus it becomes us to fulfill all righteousness” (Matthew 3:15). It was under the guidance of the Holy Spirit that Jesus went to be baptized by John. Besides, in the Age of Law, fasting was a regulation that the Israelites should observe. The Lord Jesus obeyed all that the Holy Spirit arranged, and then was led by the Holy Spirit into the wilderness to fast for forty days and forty nights. From this we can see the Lord Jesus’ humility and hiddenness; He can absolutely obey the work of the Holy Spirit, for there is no arrogance or rebellion in His essence. That is to say, the substance of God’s incarnation is obedience to the will of the heavenly Father. Additionally, God’s work always contains His wisdom and good intentions. As God’s words say, “The forty days of temptation that Jesus underwent is a miraculous sign, one that an ordinary man would be incapable of achieving. His forty days of temptation was in the nature of the Holy Spirit’s working….” It can be seen: That the Lord Jesus fasted for forty days and nights and overcame the various temptations of Satan in the midst of the fast cannot be achieved by any ordinary men, and can be called an enormous miracle. This miracle tells us: By outward appearance the Lord Jesus is an ordinary, normal person, but His power is extraordinary and great, and comes from God. Sister Shen Fang: Right! I remember there’s a passage in the word of God that says: “The Lord Jesus saw the hardship in people’s lives, He saw the hardship, the wretchedness, and the sadness of people under the corruption of Satan, living under the domain of Satan, and living in sin. … He felt more and more grief, and became more and more anxious to save mankind from sin. No matter what kind of difficulties He would face or what kind of pain He would suffer, He became more and more resolute to redeem mankind living in sin.” This passage of God’s word shows the Lord Jesus’ intention to us, and allows us to truly feel God’s love and salvation for us, as well as His essence of holiness and kindness. From this passage we can see that, in order to soon save mankind—who lived amid pain and suffering—from the domain of Satan, the Lord Jesus was willing to suffer all kinds of pains to perform His work of redemption as soon as possible. The Lord Jesus was led by the Holy Spirit into the wilderness and there He fasted for forty days and was tempted by Satan. During the period of fasting, with the identity of the Son of man, the Lord Jesus opened His heart and prayed to God the Father, sought the will of the heavenly Father, and obeyed the guidance of the Holy Spirit. When encountering the temptation of Satan, the Lord Jesus used His powerful words to give a strong counterattack against Satan, overcoming the temptation of Satan. After the forty days of fasting and prayer, the Lord Jesus started to formally perform His ministry, bear the important responsibility given by the heavenly Father, and preach the gospel of the kingdom of heaven. In the end, He was nailed to the cross, completing His work of redeeming mankind and thoroughly defeating Satan. From this we can understand that the forty days of fasting that the Lord Jesus underwent was actually a spiritual battle taking place between God and Satan, and was also a contest between justice and evil. Satan is the embodiment of everything evil and ugly; it has ever trailed along behind God interrupting and disturbing God’s work. So it took the opportunity to tempt the Lord Jesus, attempting in vain to cause Him to fall for its tricks and thus achieving its purpose of destroying God’s work. When faced with the arrogance of Satan, however, the Lord Jesus defeated it in only three sentences, after which it fled in panic. This allows us to see that God’s word is the most powerful weapon for and the secret to triumphing over Satan. As the words of God say, “Does everything that the Lord Jesus said and did in this situation carry some practical meaning for everyone if it is applied now? … If you ever experience Satan’s temptations in your own life, and if you are able to see through to Satan’s evil nature, will you be able to defeat it?” “The truth that man needs to possess is found in the word of God, a truth that is the most beneficial and helpful to mankind. … As you grow in stature, you will see things of the spiritual world more clearly, and you will be more powerful to triumph over Satan.” God’s words are the truth, and they have authority, and power; the truth spoken by the Lord Jesus is able to triumph over all the temptations, attacks, and enticements of Satan. The word of God also points out to us the path of practice: As long as we properly equip ourselves with truths, it is entirely possible to rely on God’s word to triumph over every temptation and attack of Satan, and bear witness for God. Brother Wang Qiang: Thanks be to the Lord! I’ll also share a bit of my understanding of this issue. 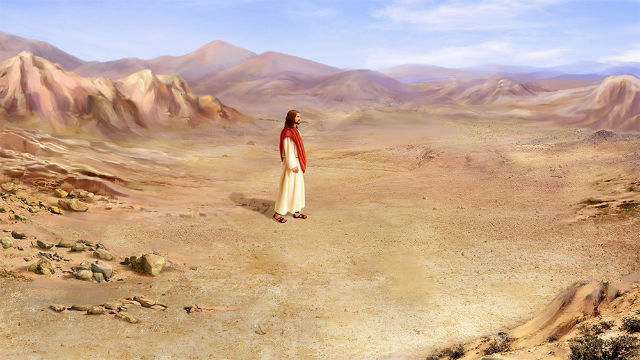 The reason why the Lord Jesus fasted for forty days in the wilderness was not because He had no food to eat. Instead, He wanted to use His personal experience to tell us a fact: “Man shall not live by bread alone, but by every word that proceeds out of the mouth of God” (Matthew 4:4). We humans all believe we must live by bread; we do not understand that we live not only by relying on food, but most importantly, we cannot leave God’s words. This is the greatest weakness of us corrupt mankind, and is also where Satan tempts and attacks us. The Lord Jesus fasted for forty days, really and truly suffering torment and paying the price. On the one hand, it shows us that the words of God have authority and power, that so long as we live by God’s words, we will triumph over Satan and stand testimony for God when encountering Satan’s temptations. On the other hand, it also tells us the eternal truth that God’s words can be man’s life and only God’s words are the root of our existence. For example, as recorded in the Bible, in order to carry out the will of God, Moses received the commandments and laws God promulgated on Mount Sinai, and did not eat or drink anything for forty days and forty nights (See Exodus 34:28). Elijah the prophet is another example. When God wished to use Elijah, he went to Horeb without eating or drinking anything for forty days and forty nights (See 1 Kings 19:8). So it can be seen that man does not live by bread alone, and as long as man has God’s presence and the leadership of God’s words, he can overcome his flesh and death. We can also see that God’s life force is extraordinary and can prevail over any power. It is God’s life that supports the survival of man, gives us faith and strength, and makes our resolve to march forward firm. Today although we live in a physical body, what allows us to go on living is not food, but all the words expressed by God; only God’s words are what we need in life. Therefore, no matter what hardships or trials are to come upon us in the future, we should always remember: God is our staunch support and the One we can depend upon. So long as we live by God’s words, we will be able to walk out from adversity, stand witness for God, and shame Satan! Brother Chen, the above are some of our understanding and comprehension of why the Lord Jesus fasted for forty days. We hope that they can bring you some help. We also hope that you can understand God’s will from His words and comprehend the truth within them. It’s a big mystery that Jesus works in the flesh as opposed to through the means of His Spirit. 3 aspects to know the significance of the incarnation of Jesus.